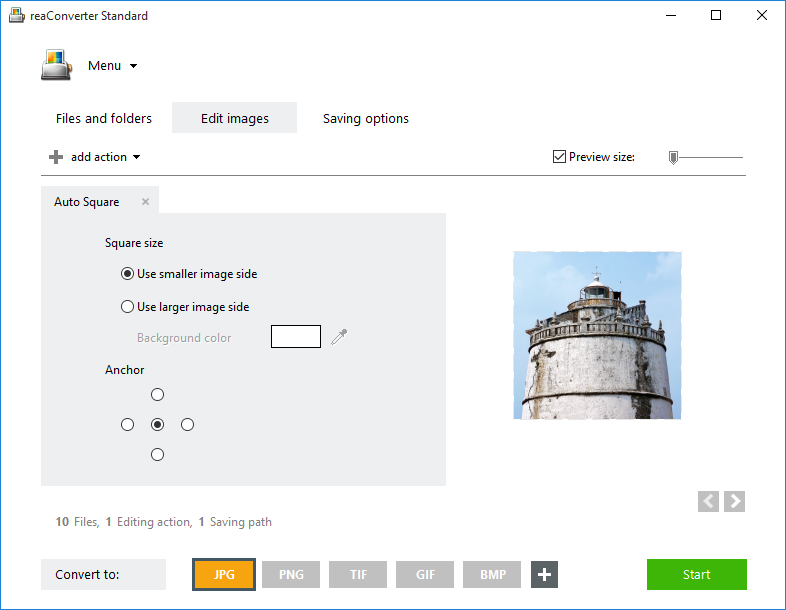 Many amateur and professional photographers love the square format! Why? Not just because it fits Instagram perfectly, but also because it has some of the vintage atmosphere of old Polaroid photos and allows an improved composition of the image. 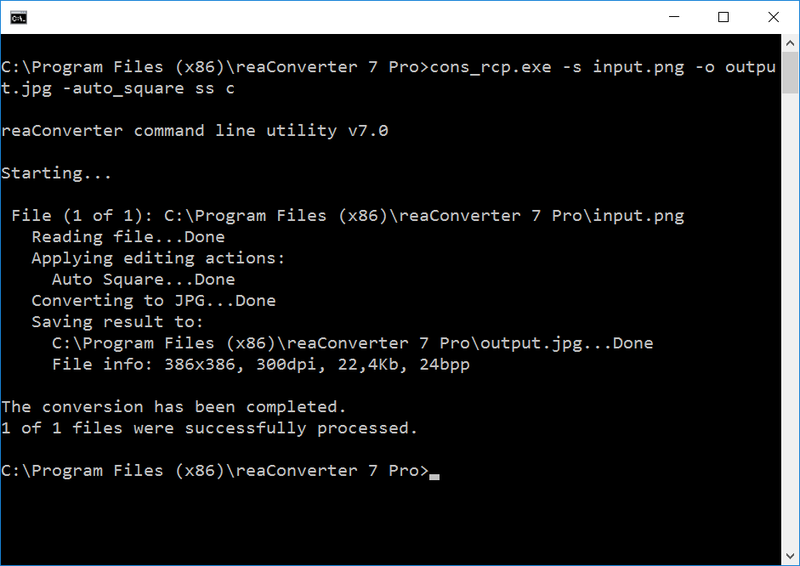 Applying the square format to a single image or to an entire folder is now easier than ever with reaConverter's latest edition. A new feature called Auto Square lets you do this is in no more than a few clicks. Open one or more images you intend to edit. 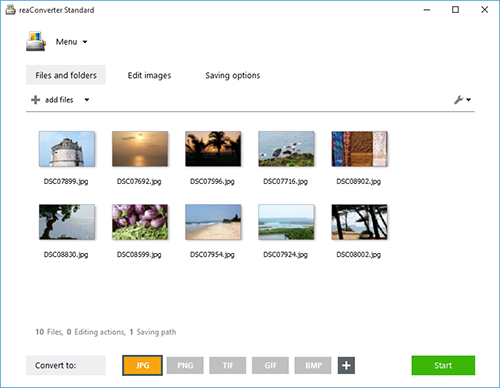 Pick them manually from your hard drive or use the drag-and-drop tool. Here you can choose whether to use the smaller or the larger image side, as well as the background color and anchor position. Check your choices in real time by ticking the Preview button. 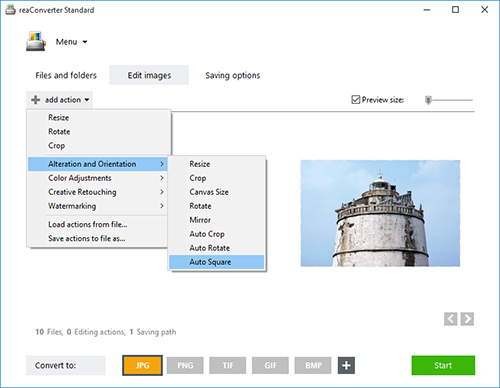 In the Saving options tab, decide on a destination for your newly edited images. 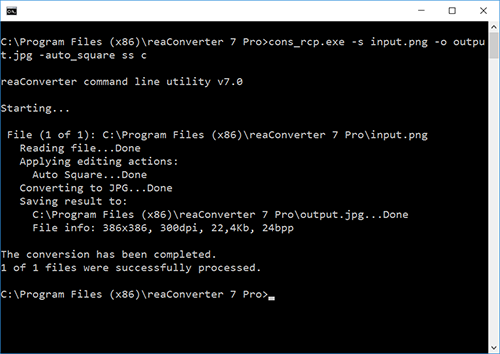 Command-line auto squaring tool is an advanced feature meant for professional use, and is available in Pro edition only.